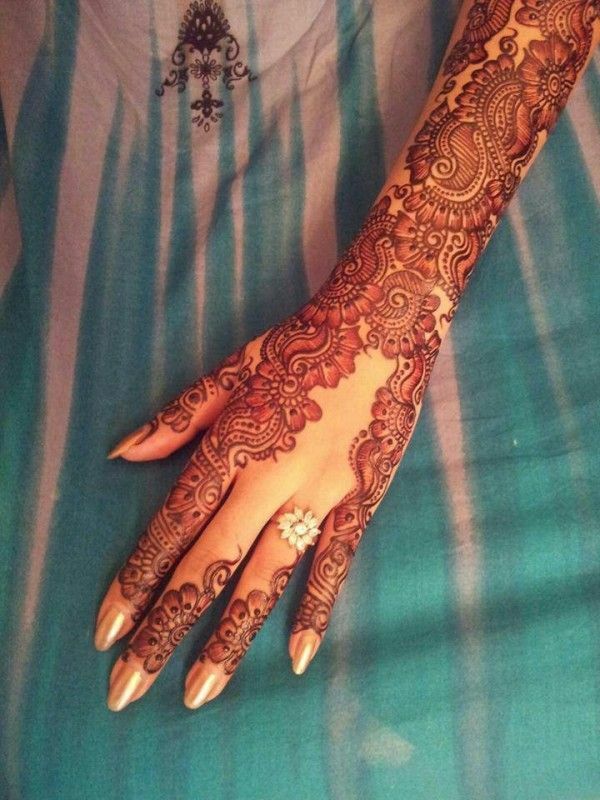 A bride is incomplete without mehndi, so when it comes to bridal mehndi Arabic designs are the perfect option as these designs give a very elegant touch as applied on bride’s hands and feet. 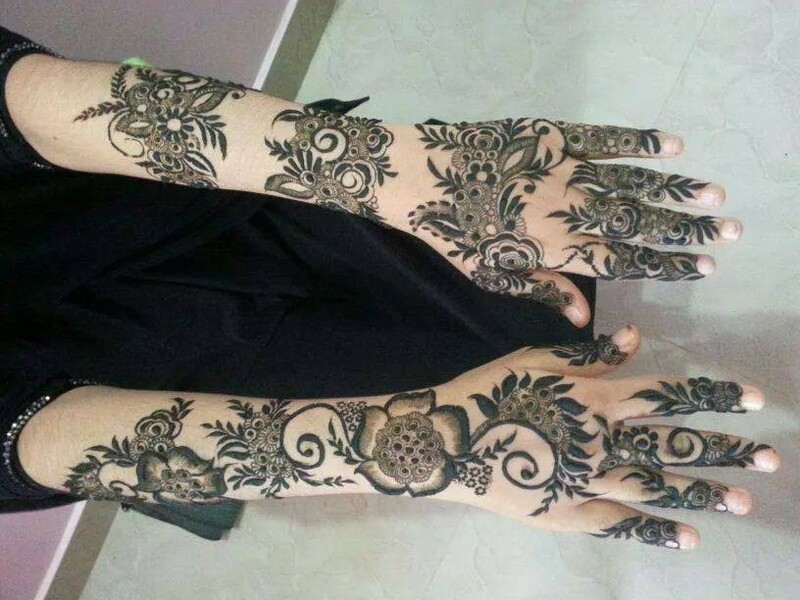 Arabic mehndi designs are authentic floral leaf motifs or symmetric patterns with broader darker outlines which make it distinctive mainstream for being exotic. 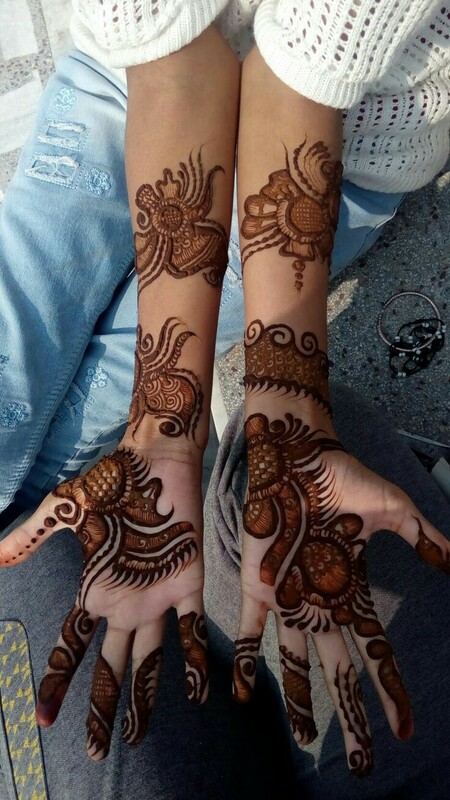 Arabic mehndi designs as the name itself indicates designs that are originated from Arabic world and now making their way into Asian countries too. Ladies of all ages opt Arabic designs at various occasions: wedding, Religious festivals and many other social events. 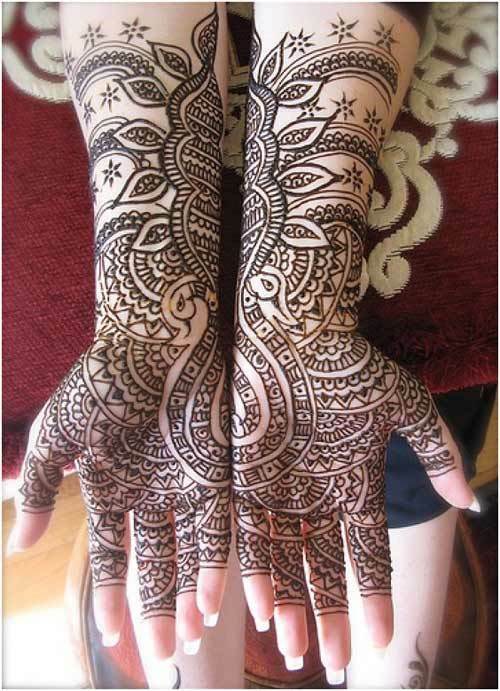 As Arabic designs are fine patterns with delicate artwork which look fascinating on bride’s hands. Furthermore, an extensive use of lines, symmetry and light- dark strokes makes Arabic designs unique and different from other mehndis. 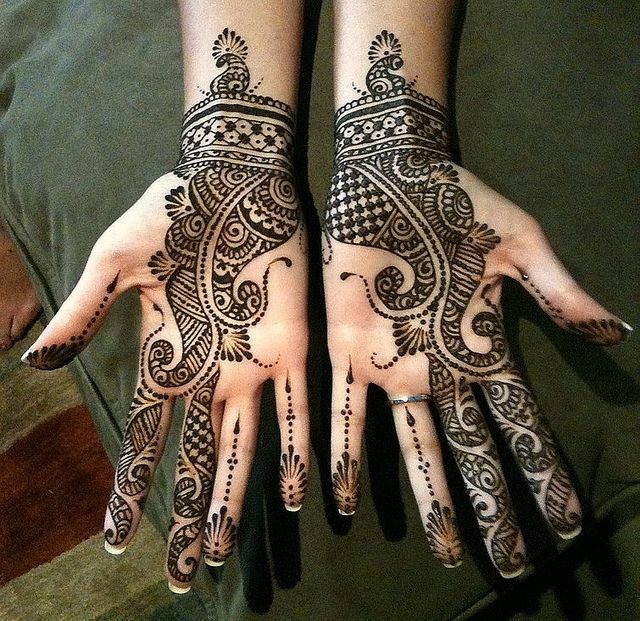 Women of all ages decoratethem by applying Arabic bridal mehndi to magnify the beauty of their hands and feet. In ancient time this trend began in order to protect the couple and keep them healthy and happy. 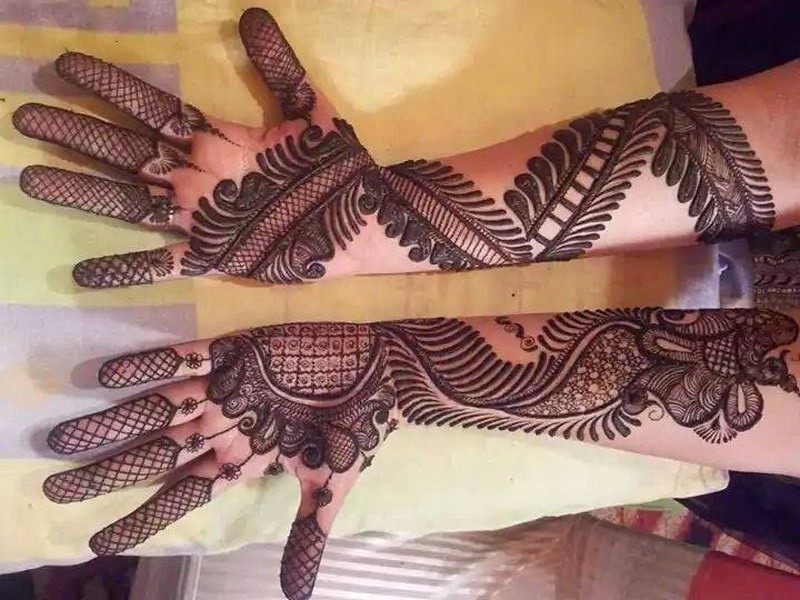 Bridal full hand mehndi is not just a mehndi it gives the women style and charming fashionable yet beautiful traditional appearance as she move hands. 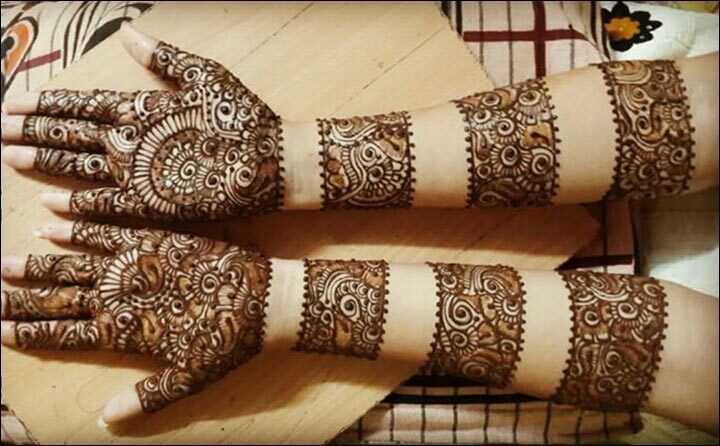 Different ladies around the world are exploring unique new ideas of Arabic mehndi full hand designs on their big day as it consist of wide designs ranging from simple tikki to floral artwork, diagonal patterns, paisleys, clove pattern, leafy designs and many more. Few girls prefer full hand designs and some of them go for half-length designs extending till elbows. 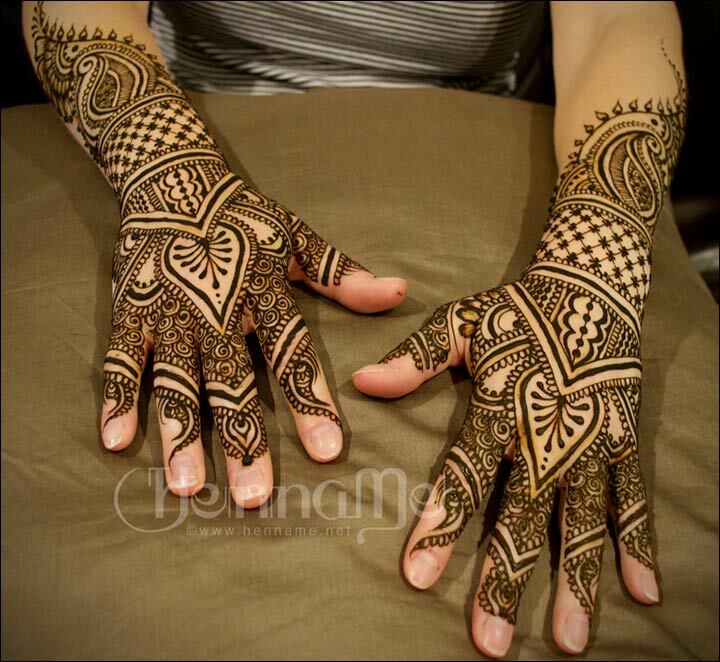 Other girls prefer complete set of mehndi in which hand designs matches and compliment feet design. 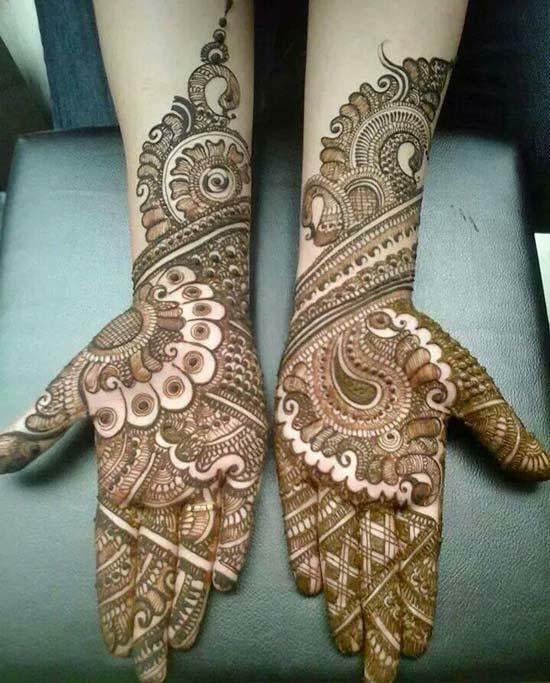 According to various saloons and bridal mehndi experts after brides face (makeup) hands (mehndi) is the second most essential body part which catches eye so the design or pattern you choose should be in accordance to your dress work and jewelry. You can also add beads, glitter or stones matching with your bridal dress. They suggest try to go for trendy designs of the year. 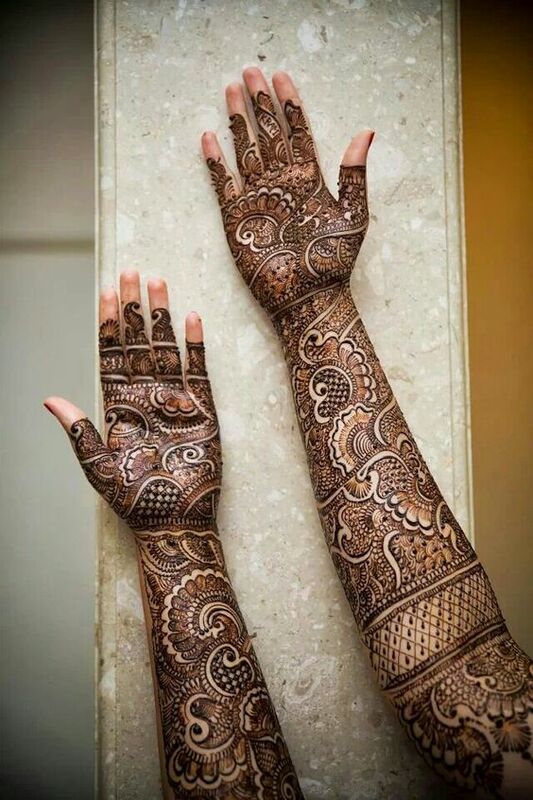 And to help you in looking for trendy unique designs we have listed below the trendy charming full hand mehndi designs for your big day, have a look. Well-arranged patterns and motifs give your hands ornamented look. Entire look is classic and modern due to repeated peacock crown patterns.